Not available for check in. Not available for check out. 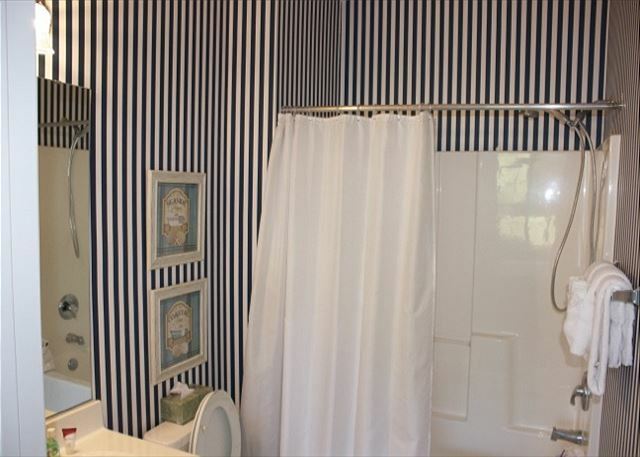 Enjoy your summer vacation or long winters in this well kept villa overlooking the pond with the soothing fountain. 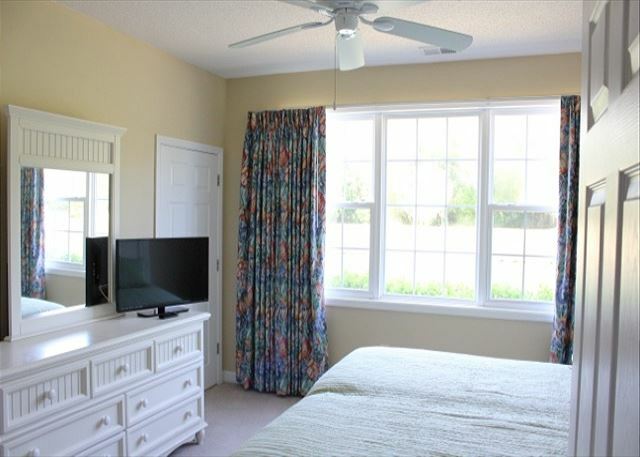 This unit features a king size bed in the master bedroom, with private bath, walk-in closet and flat screen TV. This bedroom looks out over the pond. 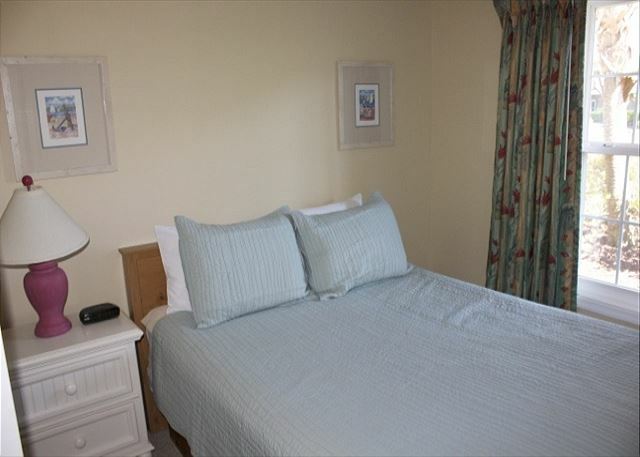 The second bedroom has a queen size bed 32' flat screen and bath located in the adjacent hallway. 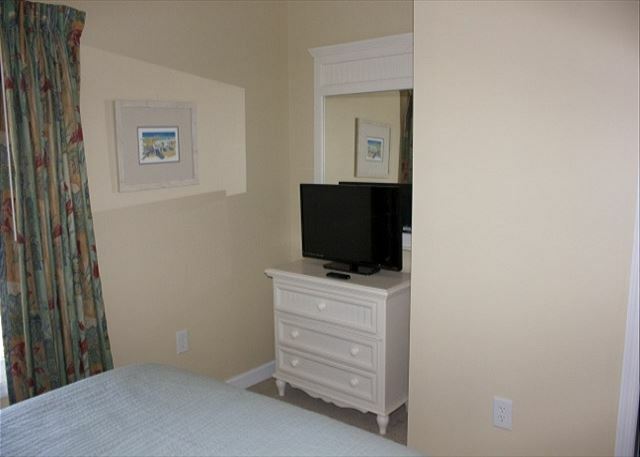 The living room has a queen sleeper sofa for additional sleeping accommoations as well as a 50' HD TV and DVD player. 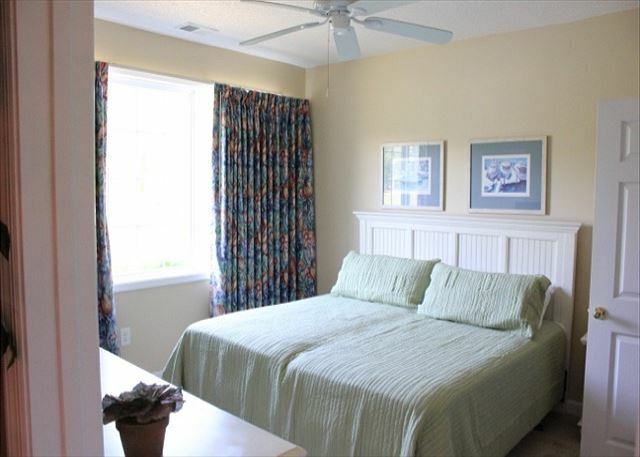 Both bedrooms as well as the living room and screened porch have ceiling fans. The dining room has seating for up to six people. 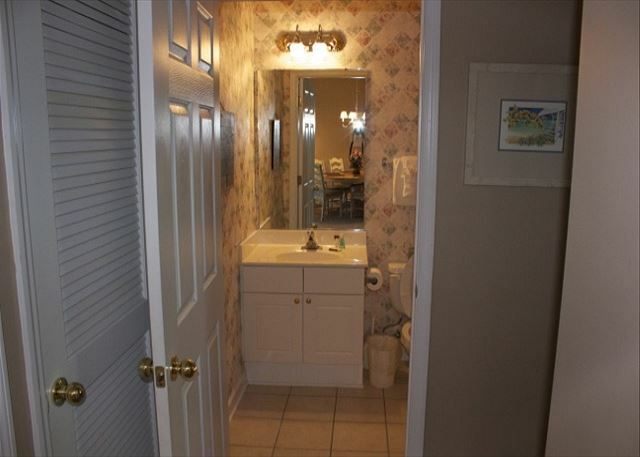 The condo also has a washer and dryer. 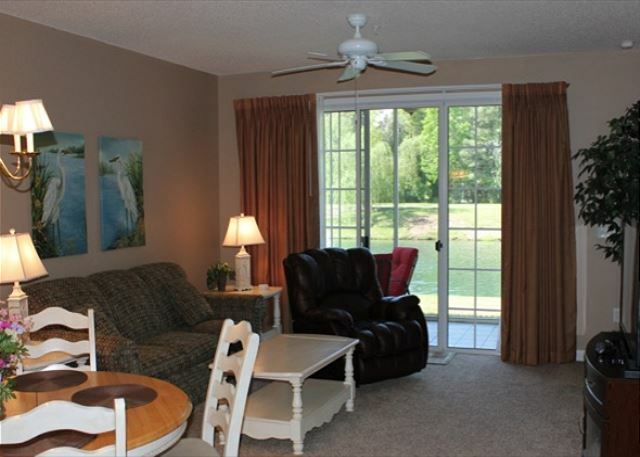 The screened in porch is located off the living room for additional living space. 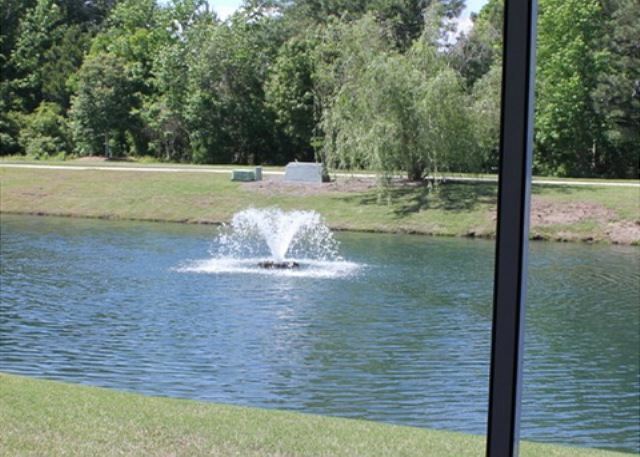 Here you can relax and enjoy the sounds of the fountain and the beautiful weather the south has to offer. 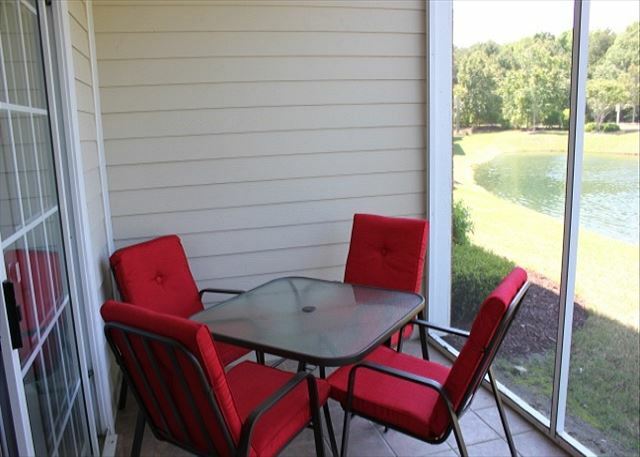 Play games with the family and even enjoy your diner on the porch. Make your dinners in the fully stocked kitchen. River Crossing offers its own private pool for owners and guests. 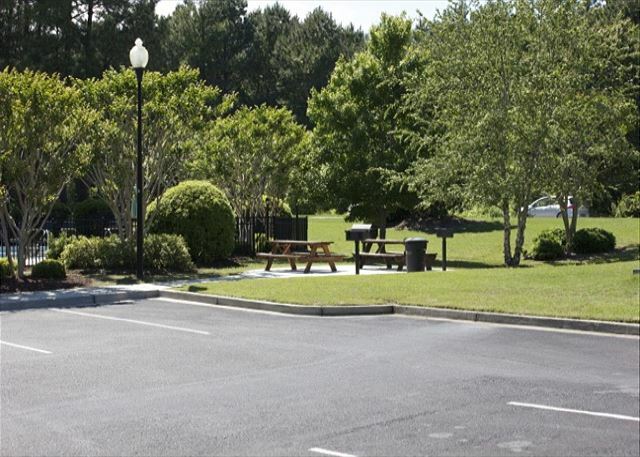 If you enjoy barbecuing, there is a grill and picnic table close to the pool. 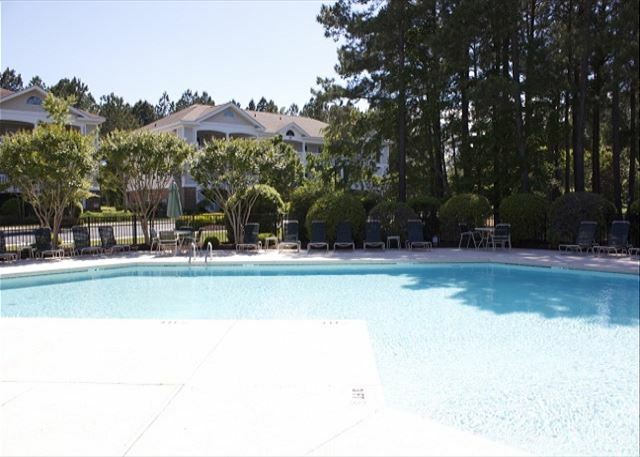 Have a barbecue lunch while soaking up the sun. 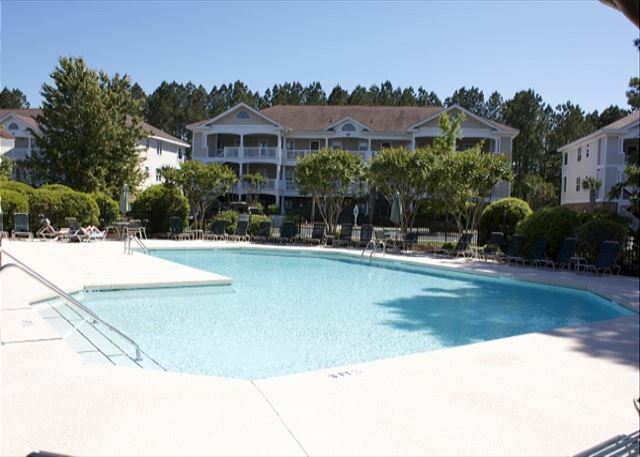 For added fun, visit one of the largest pools on the Grand Strand located at the North Tower in Barefoot. Just minutes from the condo. If the beach is more your liking, the beach is located one mile from the Resort entrance. There is also a free shuttle that runs to and from the beach for your convenience. There is plenty to do on the beach other than taking in the rays. Go jet skiing, parasailing or banana boating. Shelling is a lot of fun as well with the kids. There are three restaurants on the Resort. 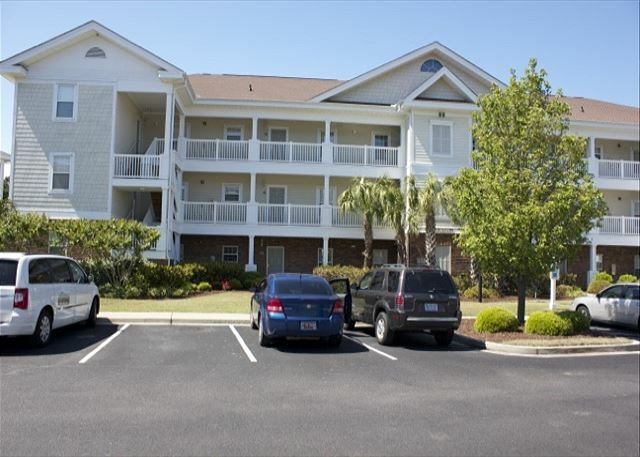 Have your meals in a picturesque setting on the inter coastal waterway or over looking one of the four golf courses the the Resort has to offer. If golf is on your agenda, book your tee time with one of the four designer courses by Greg Norman, Davis Love, Tom Fazio and Pete Dye. For the shopper at heart you will definitely shop till you drip. 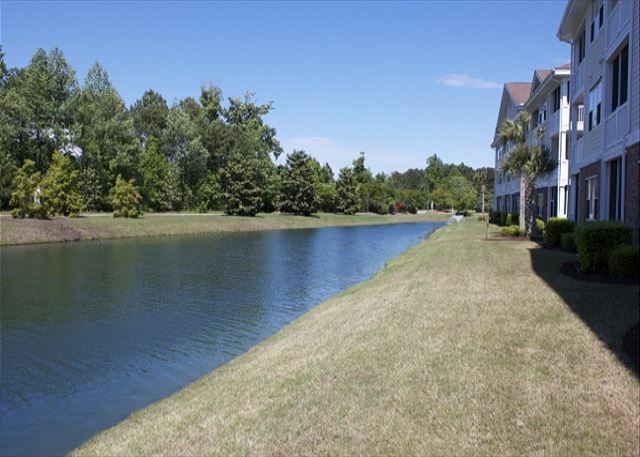 Barefoot Landing located across the inter coastal waterway offers over 100 shops and 16 restaurants. Take in a show at the Alabama Theater or the House of Blues where you will find big names playing. Need to entertain the kids, visit Alligator Adventure the reptile capital, Magic Quest, The Aquarium and the new Wonder Works located at Broadway at the Beach. Do you enjoy mini golf? 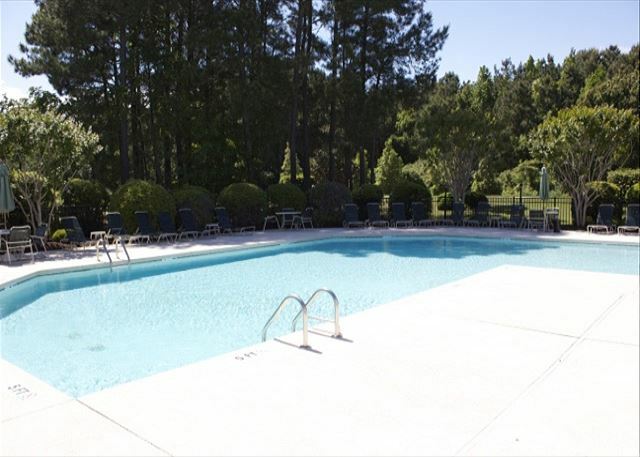 Enjoy numerous courses within a few miles of the Resort. Every Monday during the summer months, enjoy fireworks over the lake at Barefoot Landing.